LDH USA is planning to become as significant as LDH Japan. When it comes to music, film, even the culinary world – we seek to spread Love, Dreams, and Happiness in every element of our craft. LDH is full of opportunities. For example, currently EXPG students are being mentored by successful producer Afrojack. Whether it's in LA or New York – the top of the top leaders in entertainment are being aligned by LDH in an effort to create and hone talent throughout the world. When it comes to the entertainment industry there are certainly possibilities that are not available in Japan but are certainly available in America. We hope to create a bridge between the two – to create endless possibilities for our talent. 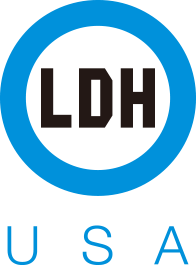 LDH USA hopes to create a platform in America where the ethos of Love, Dreams and Happiness can flourish; where talent around the world can come together as one – to create. Through my experience with both EXILE and J SOUL BROTHERS III – I have witnessed the potential of entertainment – I have felt it reverberate through my body. I was originally inspired by American dance, culture and entertainment. No doubt, this is the original inspiration of many LDH members and so three years ago we opened EXPG in New York. Our mission at both LDH USA and EXPG in New York is to create an environment where we can accelerate growth for LDH in the US entertainment industry. My dream is to be a contender in the American entertainment industry. However, my aspiration is to create a platform in which we can all achieve our own individual dreams in America as well as throughout the world. New York School is our first professional street dance school opened in the United States. It has been 3 years since the opening. Choreographers and dancers who are currently working for Beyoncé, Rihanna, Chris Brown and other world class artists offer classes as instructors here. In addition, world-renowned professional dancers who participate in dance battles also offer various classes where you can learn authentic street dance and its history. The students from all over the world gather here and you can truly feel that New York is a melting pot. At the event "HOUSE OF EXILE" held twice a year, you can participate in dance performance and dance battle with world-renowned dancers and enjoy shows presented by Busta Rhymes, Omarion and other artists. We provide the ideal environment for people who aim for the global stage. The dance classes of this central Los Angeles-based school are taught by dancers with years of experience in performing on the live tours and in the music videos and local artist choreographers. The vocal classes are taught by instructor team of SOUND CREATOR (1500 or Nothin'). The acting classes offer high-level courses in partnership with Joseph Perlman (Pearlman Acting Academy) who has many clients including musicians, comedians and top celebrities in Hollywood. Top-level instructors are waiting for you in the center of entertainment, Hollywood. "PROJECT TARO" is a project to train world-class global artists. What can entertainment do to inspire Japan and make Japanese people object of admiration for people around the globe? Entertainment brings new dreams and excitement to people and unites them. For such a country, let's do something that nobody has ever done before. EXILE TRIBE and the Avex Group work together on this project. This project aims to discover young talents and "improve their skills" as well as "build up Japanese spirit" through training them overseas, thus they can become the best around the world.